Dr. Nancy D. Young has over thirty years of experience specializing in therapy with adult individuals, couples, and groups. She is extremely compassionate and nonjudgmental while using a holistic/transpersonal approach. For twenty years, Dr. Young was an Adjunct Professor at Chapman University, teaching Psychology classes such as: Intro to Psychology, Interpersonal Attraction & Romantic Love, Human Sexuality, Sexual Disorders & Treatment, and Chemical Dependency Treatment. If you are interested in making an appointment with Dr. Young, please click here to review our office policies. Stephenie Champlin is a Licensed Clinical Social Worker (LCSW) with her Masters in Social Work (MSW) from California State University, Long Beach and a BA in Psychology and Sociology from Chapman University. Her graduate thesis was entitled Moving Toward Connection: A curriculum for Female Survivors of Childhood Sexual Abuse. If you are interested in making an appointment with Stephenie, please click here to review our office policies. Regina Collins is a Licensed Marriage & Family Therapist (LMFT) with a M.S. in Counseling and a B.S. in Child & Adolescent Development from California State University, Fullerton. Her graduate project was a qualitative study exploring therapists' use of the DIR/Floortime Model in the treatment of children with autism spectrum disorder (a developmental & relational play therapy approach). Some of her fieldwork experience has involved parent-coaching, reunification of at-risk families, early intervention for blind children, Applied Behavior Analysis with children and adolescents with developmental delays/disorders, and as an academic clinician for students with learning disabilities in public schools. Regina sees adults, adolescents, and children using individual, couple, family, and/or group psychotherapy. She has worked with clients presenting with concerns, including, but not certainly not limited to the following: anxiety, depression, parenting, grief, trauma, marital, relational, domestic violence, substance abuse recovery, & mood disorders. Her practice specializes in working with families who have children with neuro-developmental disorders; for the past fifteen years she has been working with children and adults on the autism spectrum in multiple capacities. 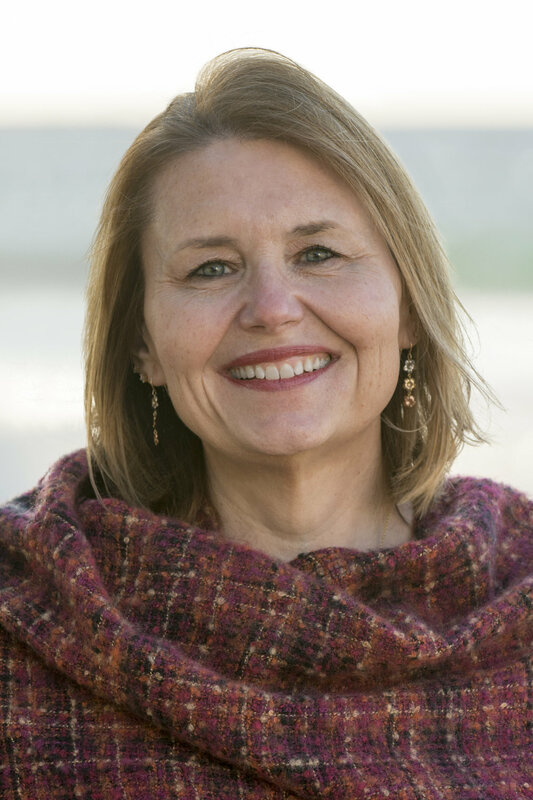 Regina uses psychodynamic psychotherapy to engage clients in the process of therapy; she also utilizes expressive arts, sandtray therapy, meditation, attachment theory, cognitive behavioral techniques, and emotion-focused therapy with couples. She has a holistic mindset that appreciates and respects the many complex parts that interact within each unique individual. If you are interested in making an appointment with Regina, please click here to review our office policies. Sharon Wierenga, M.A. is a Licensed Professional Clinical Counselor (LPCC) with over 15 years of experience working with adolescents and adults, individuals, families and couples. Empathetic and insightful, Sharon works to build trust and respect with her clients ensuring a strong therapeutic rapport. She also has a deeply compassionate and non-judgmental presence that empowers clients to work through therapeutic goals effectively. If you are interested in making an appointment with Sharon, please click here to review our office policies. If you are interested in making an appointment with Adrienne, please click here to review our office policies. Reza Ghaboosi, J.D., M.A., is a Associate Marriage and Family Therapist and also a practicing attorney with more than 12 years of litigation experience. After achieving his lifelong goal of working as a therapist, Reza has gained training and experience in providing therapy to a wide range of individuals, couples, and families. Reza is fluent in Farsi (Persian), and comfortable working with men and women from all cultural backgrounds and experiences. His approach to therapy is tailored to meet the individual needs of his clients, but can generally be described as direct, insight-driven, goal-oriented, and evidence-based. If you are interested in making an appointment with Reza, please click here to review our office policies. Lisa M. Hernandez, MS, MA, is an Associate Marriage and Family Therapist, with an MS in Marriage and Family Therapy from California State University, Fullerton. She has served families experiencing issues with autism, high risk youth, blended families, foster/adopted families, substance issues, and school issues (behavioral, bullying peers) K-12. Lisa has worked extensively with individuals, high risk youth, foster families, families with autistic members, groups and family therapy. 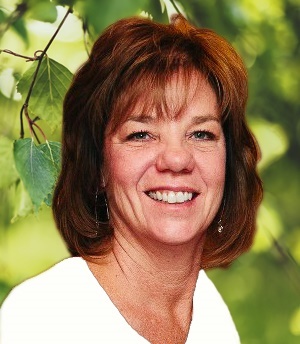 Lisa has also served as a professional coach guiding professionals through career development. Prior to working at Pathways Lisa has more than 17 years as a Human Resources Professional, in the public and private industry. Serving others in a helping capacity is something that she is passionate about and devoted to. While in Human Resources she began serving U.S. Veterans in career development. While she was able to help them, it occurred only at a superficial level, and she soon realized that deeper emotional issues affecting their career goals really needed a more personal and intimate relationship to truly help make a difference for them. Her senior project in graduate school focused on utilizing art therapy in career development (“Counselors’ Use of Art Therapy with Veterans Struggling with Reintegration Issues”). The paper was a preliminary inquiry looking at how art therapy can be used in career development with U.S. military personnel in transition back in to civilian life. Since writing that paper she became interested in sandtray therapy and has incorporated it in treating all populations. Lisa M. Hernandez is a registered Associate Marriage and Family Therapist (CA IMF #82813); employed by Pathways to Wellness; and supervised by Nancy D. Young, Ph.D., CA License #11961. She has met all of her supervision and training requirements and is studying to take the last part of her state licensing exam. If you are interested in making an appointment with Lisa, please click here to review our office policies. 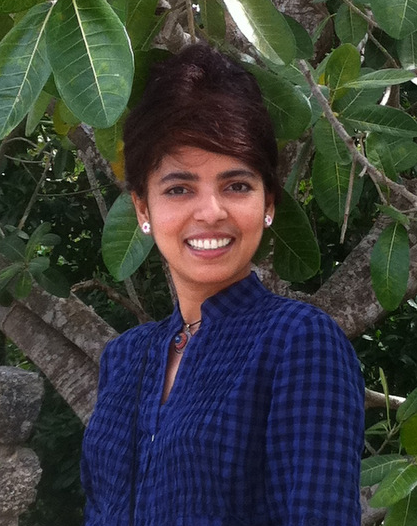 Rupa Ward is an AMFT, with a M.A. in Psychology with Marriage and Family Therapy emphasis from Chapman University. She has worked extensively in the addiction recovery and trauma community doing individual and group counseling for the past six years. Having moved from her homeland in India to the United States as a young woman and traveled extensively all over the world, she has been especially interested in the uniqueness and the universality of human experience and the differences in women’s lives across cultures. A trekking trip to the Himalayas at 19 awakened in her a new dimension of spiritual consciousness, and, since that time, she has maintained a committed spiritual practice under several renowned spiritual masters both in India and the US. She has taught yoga and meditation in the community college system and privately for the last twelve years. Thus with academic training, professional expertise, and broad personal inter-cultural experience, she is passionate about promoting sensitivity in dealing with cultural differences and relates with a compassionate heart to each person’s individual situation. Rupa has completed her licensure hours as an MFT Intern at Pathways to Wellness under the supervision of Dr. Young and is currently studying for her state exam for licensing. 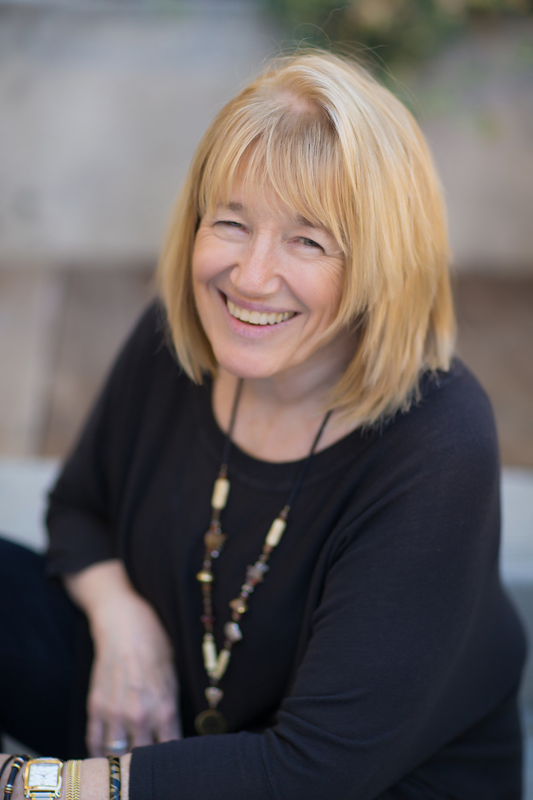 Her practice combines different therapeutic techniques, including cognitive-behavioral therapy (CBT), Dialectical Behavior Therapy (DBT), and Acceptance and Commitment Therapy (ACT), with strategies derived from Buddhist Psychology, mindfulness practice, body-mind integration. She is a Certified EMDR Therapist, is working toward her certification in Gottman Couples Therapy. If you are interested in making an appointment with Rupa, please click here to review our office policies. Holly Kuri has been in the healthcare industry for over 15 years. Her solid experience in a healthcare environment results in the ability to deal successfully with the demands of a busy and diverse client base. In addition to her extensive healthcare experience, Holly possesses strong communication skills, a pleasant demeanor, and an innate ability to be warm and compassionate. She is responsible for greeting and registering clients at the center, insurance billing, verifying correctness of patient demographic and privacy information, as well as maintaining the company website. This winning combination ensures that you will receive exceptional service and care, while visiting Pathways to Wellness. 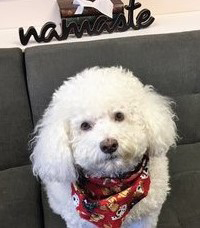 Watson with Wings had over 9 years experience greeting and soothing dog-friendly clients in our office before he crossed over in June, 2011. He was the epitome of unconditional love and light-heartedness and was very popular with everyone. Since he’s been gone, he has been very busy watching over all of us from the Great Beyond where he plays happily all day long with his pals and has taken as his special mission to catch those of us who pass from here and fall through the clouds into his soft cushy catcher’s mitt over there. He still occasionally gets the urge to check in with us via his blog or the occasional tweet from @watsonwithwings.